The U.S. Centers for Disease Control and Prevention reports that 1 in 4 U.S. adults who say they have excellent hearing actually have some hearing damage. Much of that damage was found in people who say they aren’t exposed to loud sounds in the workplace. Instead, their hearing was damaged by everyday sounds, from street noise to rock concerts. The best way to find out if your hearing is damaged is to have it tested. According to the CDC, trouble with hearing is the third most commonly reported chronic health condition in the United States. It finds that untreated hearing loss is associated with anxiety, depression, loneliness and stress. Everyday sounds aren’t benign. Traffic noise, lawn mowers, washing machines – all things we may encounter any day of the week – can damage hearing. Hearing loss occurs over time when continued exposure to loud sounds damages the hair cells in the inner ear. A person with damaged hearing often loses the ability to hear high-pitched sounds. Hearing loss can muffle speech, for example, blurring or dropping consonants. Much hearing loss is preventable, but most people who are exposed to loud noises don’t wear hearing protection, according to the CDC. Avoid or limit your time in noisy places as much as possible. When you’re around loud noises, wear sound-muffling earmuffs or earplugs. When you’re listening to music through headphones or earphones, keep the volume low. 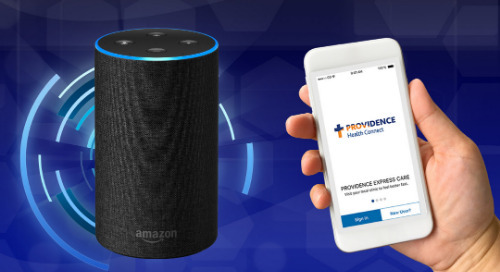 If you’re ready to have your hearing tested, you can find a Providence provider near you in our directory.